Johannesburg – Former government spokesperson Themba Maseko has confirmed that he made the sole written submission to ANC secretary general Gwede Mantashe on how the Gupta family allegedly tried to capture the state. Mantashe on Monday told journalists that only one out of the eight complaints made to him was handed over as a written submission after he said ANC members with complaints about interference by the Gupta family into state affairs should bring these to his office. 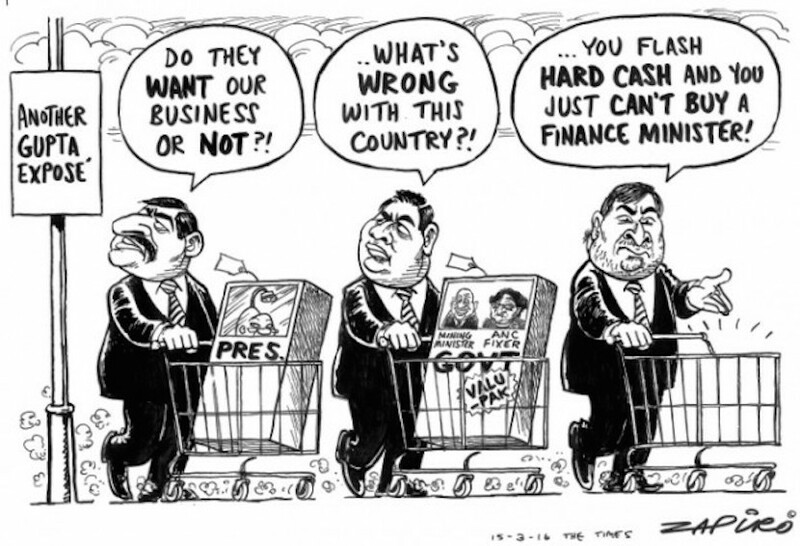 Guptas doing business in South Africa. 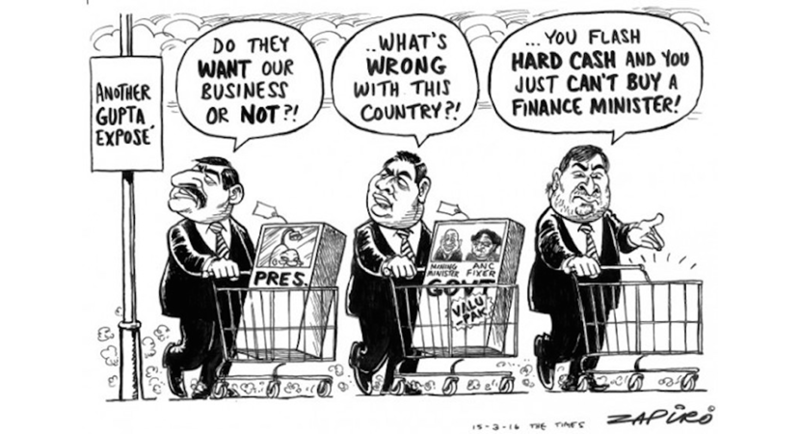 More Zapiro magic at www.zapiro.com. Maseko told News24 he hadn’t read Mantashe’s statement yet. Maseko said he is part of an initiative by former directors-general to speak out against state capture, and will call on government to make a public inquiry. He could, however, not say which body the directors-general would approach. Maseko said although he had received “quite a few threats on Twitter of people saying they will investigate or expose me”, most public servants, retired public servants and members of the public were supportive. At least two sources, who did not want to be named, said Mantashe’s investigation had no real power and that might have deterred people from lodging complaints. Maseko in March told Sunday Times a member of the Gupta family had tried to get him to help with a government contract involving their New Age newspaper. He also subsequently tweeted: “If all who have been summoned to Saxonwold [where the Guptas live] were to meet, FNB stadium won’t be big enough”. Maseko’s comments at the time followed revelations by Deputy Finance Minister Mcebisi Jonas that the Guptas approached him last year to offer him former finance minister Nhlanhla Nene’s job before Nene was sacked. Former minister of communications Siphiwe Nyanda, who called on Zuma to resign following the revelations of state capture, told News24 he did not make a submission because he was never directly approached by the Guptas. Former MP Vytjie Mentor had made claims that she too was approached by the Gupta family for a ministerial position while President Jacob Zuma was in the same house. Zuma is close friends with the Gupta family, who are business people.